When Blessed John Paul II is declared a saint April 27, the date will be meaningful for several reasons. First of all, it is the Second Sunday of Easter, which has been recognized as Divine Mercy Sunday since the Jubilee Year 2000.
in the new Church at Nowa Huta in 1969. In his homily for the Mass for the canonization of St. Faustina Kowalska, apostle of the message of Divine Mercy and the first saint of the new millennium, Pope John Paul II encouraged his listeners to make St. Faustina’s prayer their own:“Jezu ufam tobie!” (“Jesus, I trust in you!”). When, after a long period of suffering, the Holy Father finally entrusted his soul to the Lord in 2005, it was the eve of Divine Mercy Sunday. The significance of this feast for John Paul II is no doubt part of the reason why Pope Benedict XVI celebrated his beatification on Divine Mercy Sunday in 2011. In 1982, on the first anniversary of the assassination attempt against him, John Paul II famously said, “In the designs of providence there are no mere coincidences.” The same could easily be said about the date of his canonization, for April 27 was also a date of great importance for John Paul II and the Church in Poland. On this date in 1960, a pivotal incident took place in the city of Nowa Huta as Karol Wojtyła, then a young auxiliary bishop, served in nearby Kraków. For the future pope, the events of this day and those that followed would come to symbolize the beginning of the new evangelization. Nowa Huta (literally, “The New Steel Mill”), the easternmost district of Kraków, was originally constructed as a new city following World War II. At the heart of the rapidly developing city stood the Lenin Steelworks, a grim maze of metal catwalks, brick towers and massive blast furnaces — a symbol of the industrial might of the Soviet Union. The decision to construct Nowa Huta adjacent to the ancient city of Kraków was a deliberate strategy on the part of the communist authorities. For centuries, Kraków had been the intellectual and cultural center of Poland, due largely to the presence of the 600-year-old Jagiellonian University. The huge steel mill was intended to transform this academic city into a prototypical city of workers, an embodiment of communist ideology. According to communist propaganda, the residents of Nowa Huta were expected to give up the old Catholic worldview; one post-war newspaper stated that citizens should be “snatched from the clutches of the clergy” and taught how to love communism. Thus would “the new man” be forged. For many years, residents of Nowa Huta tried to get permission to build the church for which they longed. Following what came to be called the political “thaw” of October 1956 the communist authorities finally gave permission to build a place of worship in the city square. Citizens immediately placed a large wooden cross there, and the square became the center of the city’s religious life. Regular prayers, as well as occasional Masses, were organized near the cross. A church, however, was not built. The citizens struggled for years to obtain construction permits, until the authorities finally decided that a school would be built in the city square instead. Moreover, it was ordered that the cross be removed. On the morning of April 27, 1960, a corps of workers guarded by armed officers arrived early in the morning to tear down the Nowa Huta cross. A group of women saw what was happening and equipped themselves with shopping carts, brooms, bricks and bottles. A short time later, when a shift at the steel mill was let out, more than a thousand men started making their way toward the cross carrying shovels, pickaxes and other tools. In a spontaneous act of civil disobedience, 5,000 workers and citizens suddenly gathered in the square. In “the defense of the cross” in Nowa Huta, a young bishop named Karol Wojtyła played an important role. Just two years earlier, Archbishop Eugeniusz Baziak of Kraków had come under fire for recommending Wojtyła as an auxiliary bishop of the archdiocese. The majority of Kraków priests were critical of the decision because young Father Wojtyła was inexperienced and had no family connections among the elite of Kraków. Archbishop Baziak defended the appointment, arguing that he wanted a bishop “to grind, not for decoration.” Moreover, Father Wojtyła “had been trained as a worker,” and understood the theoretical foundations of communism. Such a man, the archbishop concluded, would be particularly valuable to the Church in Kraków. Ordained Sept. 28, 1958, Bishop Wojtyła worked in this difficult ministry with great sacrifice. From the beginning, he strongly supported efforts to build a church in Nowa Huta. After the protests in the city square, he protected victims of communist repression and organized open-air midnight Masses under the cross on Christmas Eve — despite the severe Polish winter. Thanks to the undying perseverance of the city’s Catholics, the first church in Nowa Huta was finally built in 1977. When Cardinal Wojtyła traveled to Rome for the conclave and was elected pope in October 1978, he took with him a piece of the wooden cross of Nowa Huta. During his first apostolic journey to his homeland in June of the following year, the communist authorities did not permit John Paul II to visit the church in Nowa Huta. Instead, he celebrated Mass at the shrine and medieval Cistercian monastery in Mogiła, a nearby village. Founded in the 13th century, the monastery became famous for housing a relic of the Holy Cross. 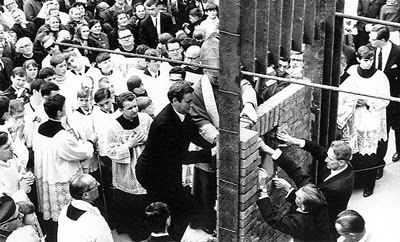 For John Paul II, it seems, the events of Nowa Huta were emblematic of the Church’s task of reintroducing the Gospel in Western societies, especially those that have lost a sense of God to progressive secularization. Thus, it is no coincidence that divine providence has linked the date of John Paul II’s canonization and the date of “the defense of the cross” in 1960. As it was in Poland more than five decades ago, the cross today is also, in a sense, being removed from politics, academia, culture, family life and the media as the Christian faith becomes increasingly marginalized. The new evangelization, the “great springtime for Christianity,” therefore, depends on our own reaction to the problems of the contemporary world. It depends on our willingness to start a personal “defense of the cross” in the places where we live. In his encyclical Redemptoris Missio, John Paul II stated, “The witness of a Christian life is the first and irreplaceable form of mission” (42). 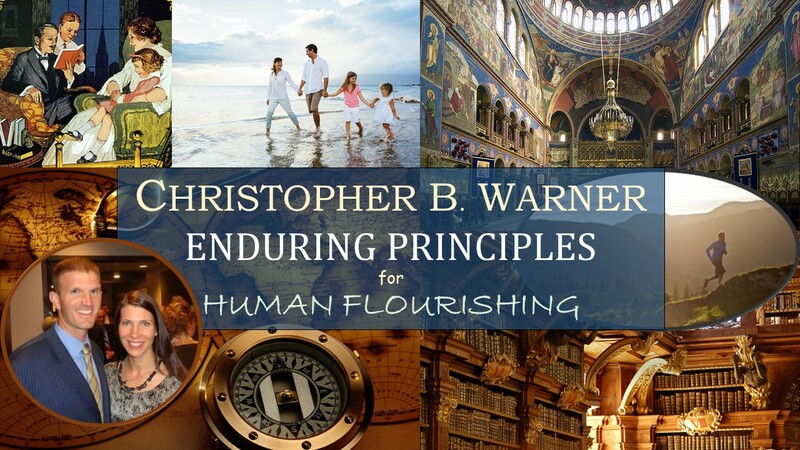 This witness, he added, involves not only “taking courageous and prophetic stands” in the face of corrupt political powers, but also exercising humility; practicing charity toward the poor, weak and suffering; and “imitating Christ’s own simplicity of life” (43). This task of the new evangelization, this call to Christian witness, is certainly difficult and demanding. Yet, inspired by St. John Paul II and the men and women of Nowa Huta, we too must have the courage to take up and defend the cross in our society today. KRZYSZTOF MAZUR is a member of Our Lady of Mercy Council 15128 in Kraków. This article was published in Columbia Magazine.